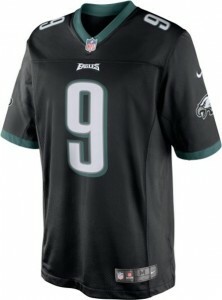 Although they are still waiting on their first Super Bowl win, the Philadelphia Eagles enjoy a rich history and devoted fan base. A new crop of offensive stars and an uptempo system courtesy of Chip Kelly has fans and collectors hopeful that drought will end soon. 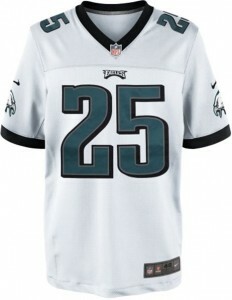 The Philadelphia Eagles were established in 1933 as an replacement NFL team. Their first decade was hardly noteworthy, posting ten straight losing seasons. 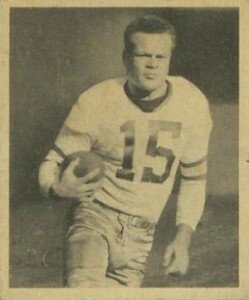 In an odd one-year circumstance due to World War II, the team was briefly merged with the Pittsburgh Steelers to form the "Steagels" in 1943. 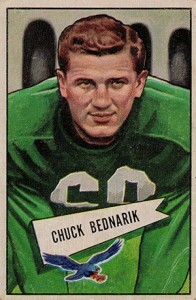 From 1947 to 1949, the Eagles reached three consecutive title games, winning two. They added their third pre-merger championship in 1960. 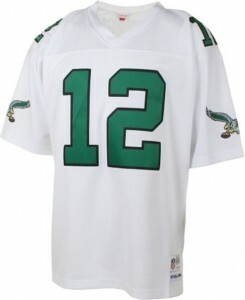 After that win, the Eagles regressed and missed the playoffs in 17 consecutive seasons. 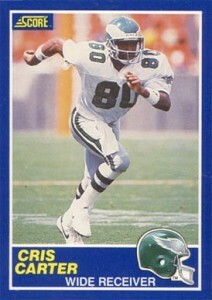 Since 1978, the Eagles have been more good than bad and have reached two Super Bowls, coming up short in both. During that period, the team enjoyed a run of great quarterbacks, including Ron Jaworski, Randall Cunningham and Donovan McNabb. 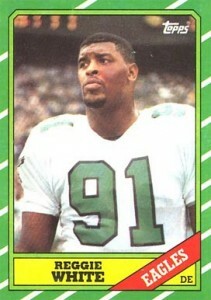 They also were home to one of the most dominant defensives ends in NFL history, Reggie White. 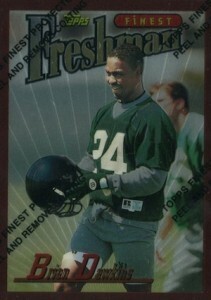 Although recent years have not been great, a changing of the guard at head coach has given way to a fast-paced offense. 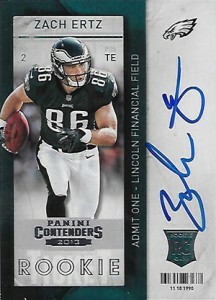 As one of the most exciting groups in football, collectors have a few key names to keep an eye on. 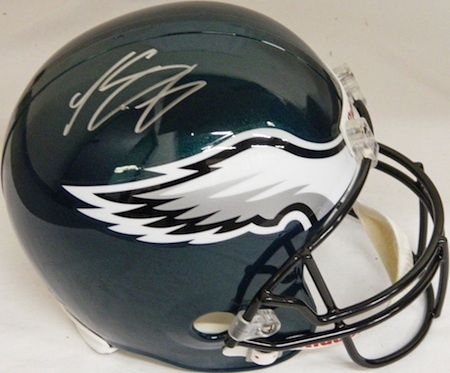 Collectors have plenty of options when it comes to merchandise and collectibles for the Philadelphia Eagles. 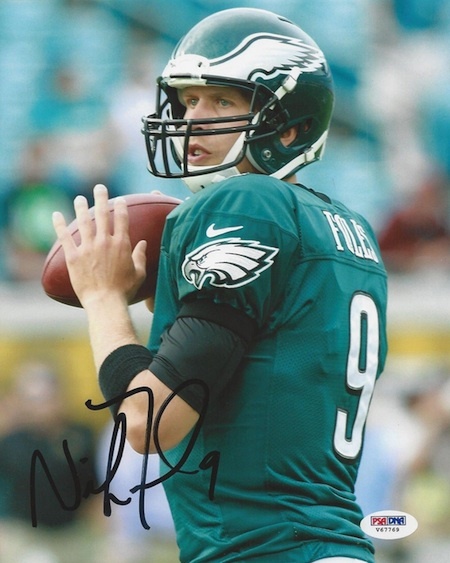 Using the tabs above, check out the top Philadelphia Eagles players to collect, top merchandise and jersey options, autograph guide, game tickets and the most watched Philadelphia Eagles cards and memorabilia on eBay. Another option for collectors looking to get autographs is TTM or "Through the mail." A complete guide to the process can be seen here: How to Get (Almost) Free Autographs Through the Mail. Looking for something to support your team? 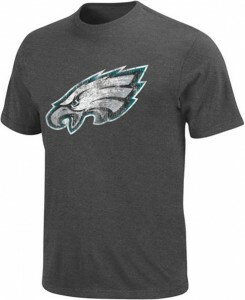 There are tons of options for Philadelphia Eagles fans across all budgets. Normal price ranges are noted when available. 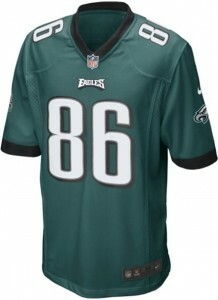 View a complete breakdown of the jersey options using our detailed NFL jersey guide. Click on the images or listings to shop on eBay. 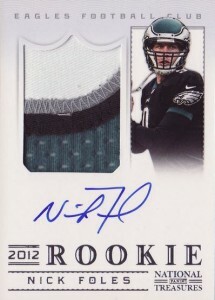 The Eagles long history is filled with plenty of great collecting options. 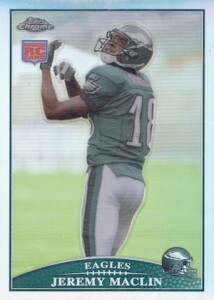 View cards for the top former and current members of the Philadelphia Eagles below. Click on the player for a detailed guide or to shop for cards on eBay. Click on the player to shop for cards on eBay. 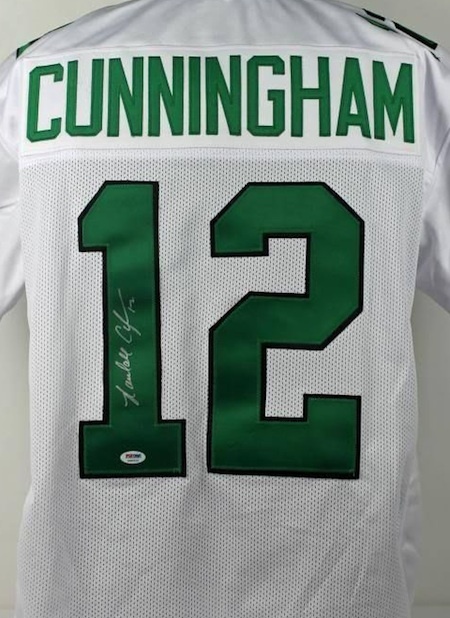 When shopping for autographed items, it is highly recommended to only purchased signed pieces that have been authenticated by a reputable company. Top options include PSA, JSA, Mounted Memories, UDA, Panini Authentic and Tristar. 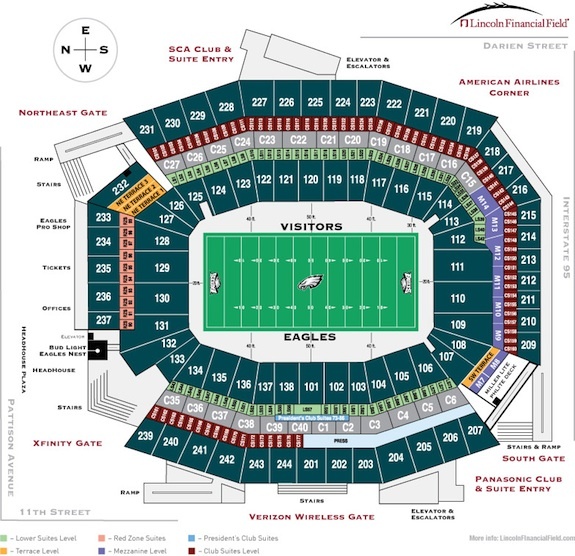 If you are looking for tickets to see the Philadelphia Eagles play, it might be an overwhelming experience. Luckily for fans, NFL stadiums hold a lot of spectators. After selecting a specific game, the first thing to decide is how much you want to spend and where you want to sit. From there, it can get messy given all the choices for purchasing tickets. With that in mind, we have complied the best options for buying tickets. Simply follow the link to each ticket source for any available Eagles tickets. Be aware that the NFL regular season basically runs from September to January and the playoffs continue until the beginning of February. 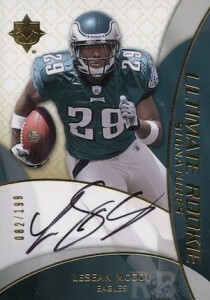 Check out the most watched Philadelphia Eagles cards, gear and memorabilia on eBay. The guide is constantly updated with real-time information, so bookmark this page for future reference. 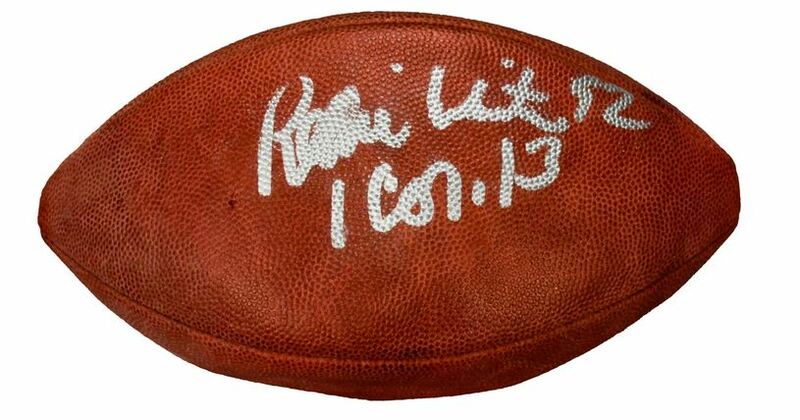 Hi, I’ve got a vintage or antique autographed Eagles Leather Wison Football signed by the team. The autographs include: Jim Skaggs, Floyd Peters, Harry Jones, Ron Goodwin and others I can’t make out. This football has the insignia of the Eagles stamped on the ball. Do you have any idea what this might be worth, or how to find out? Thanks!! 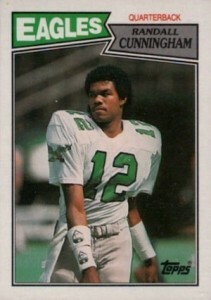 I have a life sized cardboard cutout of Randall Cunningham that is signed by him. Any estimate on its value? or how to find out? 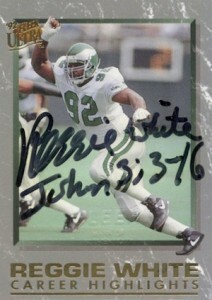 Thanks in advance, Joe P.
I want to buy a signed eagles jersey 4 my hubby. It states that it’s psd/jsa certified. This is on amazon how can I b sure it’s legit? ?? Trinity � Ask them to send the PSA or JSA authenticity number so you can verify it. 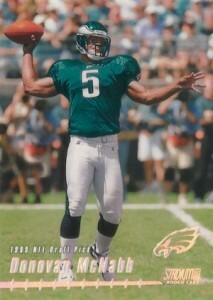 i have a philadelphia eagles football tan on top and normal brown on bottom. 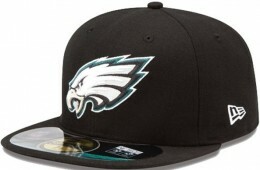 Eagles Logo on top limited edition of 10,000. on it are NFL eastern division champs 1947 NFL champion 1948, 1949, 1960. NFC Eastern division champion 1988 and NFC champion 1980. bought it at an estate sale. does it have any value?